Now, if someone opens your PC in absence of you, you always have a thought on your mind to track his websites usage history. Now, for the sake of spying instinct of yours, here is a small tip with which you can find the list of websites he visited recently. Note that this trick works even if he clears his Browser cache or he goes for private browsing using VPN or TOR browser. Every One Knows that By pressing CTRL+H you can reach the history pages of browsers like chrome. Mozilla etc. So, he don’t need to be a geek to clear browsing data, if he wants to hide where he have gone. But, there is a thing known as DNS cache which keeps the record of the urls even when all methods of deleting their history have been employed. No , matter how smart he is in erasing the footprints in sands of time, you can fetch all his records in a notepad. Lets see how this works. 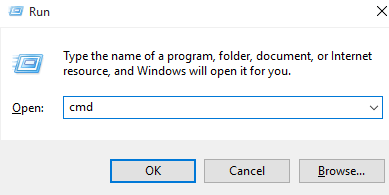 Step 1 – Press windows key + r to open run command. Step 2 – Now, write CMD in it. 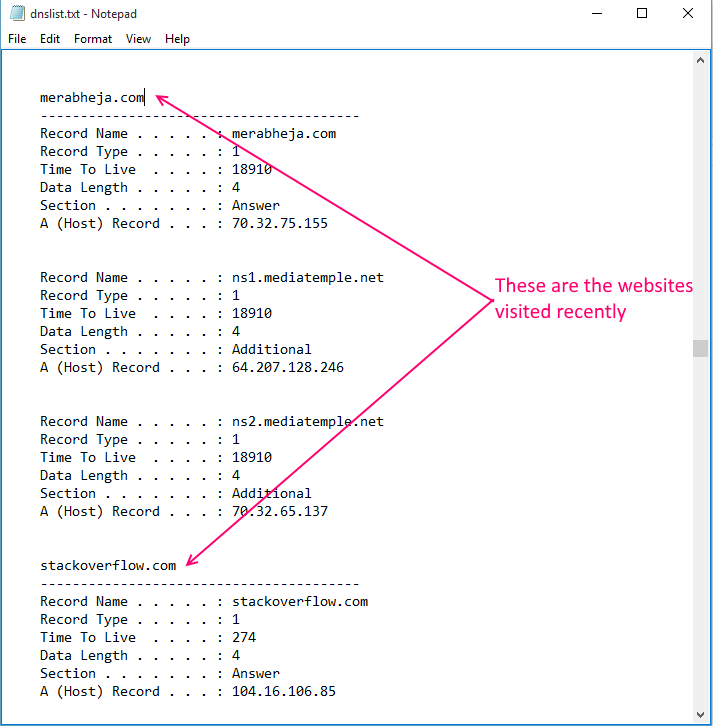 Step 4 – Now, the DNS cache has been recorded on a file named websiteslist.txt. Now, where is this file located? Alternatively, you can also search for this file in search box of taskbar in windows to find the file. Step 6 – Now, open the txt file in notepad and there you go. All the recently websites visited on your PC are listed here. One thing to note is that when you open a website, many more third party URL also opens along with it and thus DNS cache list will contain that also. For example, a wordpress blog will most probably contain Gravatar.com. In addition to it, the some sub-domains creates a separate entry. But, you can keep scrolling this huge (But not so huge) list to find the website you want to know about. You can also use Ctrl+F to find any website in the list.